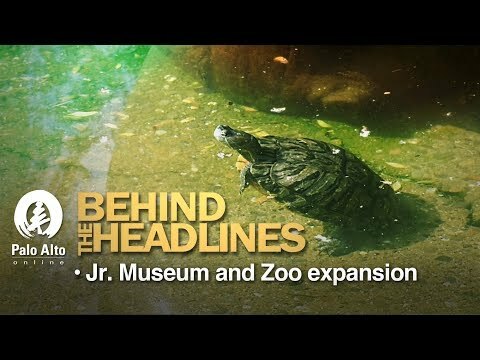 On this week's "Behind the Headlines," Weekly journalists Jocelyn Dong and Gennady Sheyner visit the Palo Alto Junior Museum and Zoo, where they discuss the zoo's planned expansion with Executive Director John Aikin and meet an albino hedgehog and a bald eagle. Watch the webcast here. The proposed new Children's Zoo and Museum appears to involve an expansion that will engulf the current 85-plus parking places used by people attending events at the Community Center, Childrens Zoo and Rinconada Park. Will the City provide underground parking under the new Zoo or expect those 85+ cars to park in the neighborhood streets? @Mary, you know the city never thinks about cause-and-effect or let neighbors' concerns get in the way. Those 85+ cars will also compete with the all the parents picking up/dropping off their kids at the school next door, the 11-bedroom house nearby with no parking, the spillovers from nearby neighborhoods that are already saturated, the commuters and residents who can't get Southgate permits, the construction trucks working on all those new ADUS with no occupancy limits, the proposed new road configurations, the wider driveways, the trash cans and the bike lanes. When our kids were small, we combined a trip to the Childrens Library, a trip to the Museum/zoo and playing in the playground. Do we really need overkill here meaning big is better as opposed to a regular weekly after school or Saturday familiar routine space?